The Penguin School is offering new Kawasaki Ninja 650, 500 and 400 motorcycles for rent. 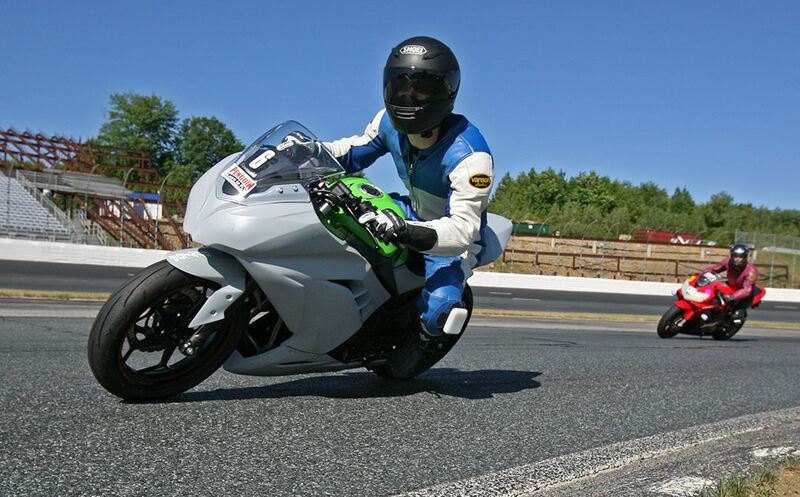 These wonderful twin cylinder machines serve as a great platform to experience the racetrack and are perfectly suited to the tracks we frequent. The bikes have a smooth power delivery that makes them very easy to ride. The chassis are well proven and provide confidence inspiring handling. 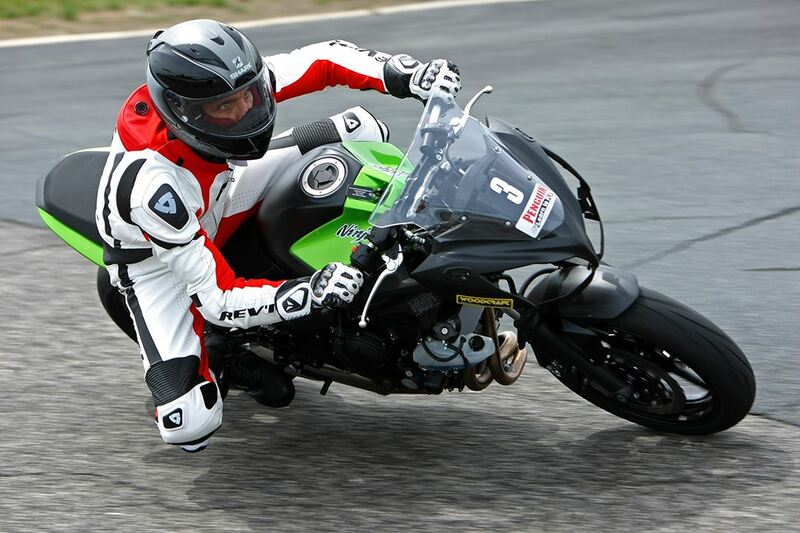 The Ninja 400's can be rented both for the school and for racing (both LRRS and NESBC) and they are competitive in several classes! We also have limited KXF450 Motard machines. These are dirt bikes with 17" wheels and upgraded brakes, and are an absolute blast to ride! 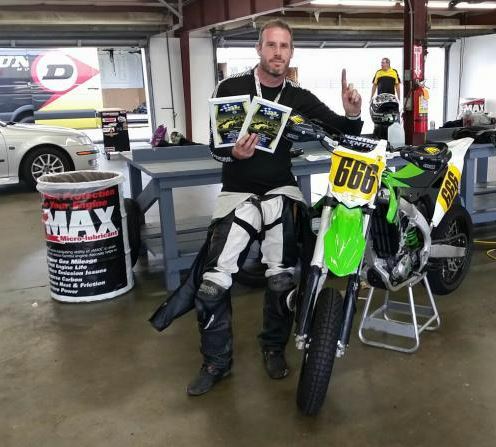 These bikes are super easy to ride, and are a perfect entry in to the track for anyone with dirt bike experience. Of course, after a couple of laps you will be grinning ear to ear! These bikes are also available for race rentals with LRRS and NESBC. Option 1: Your first option one is to ride the motorcycle and leave a damage deposit to cover the repair of the motorcycle in the event of a crash. This is most often done with a credit card and you will sign a form acknowledging your liability for the motorcycle. You will be charged to fix whatever you break, and the assessment of the damage is completely at the discretion of the Penguin Racing School. Option 2: You may buy damage insurance for $150. This covers you 100% for any accidental damage to the motorcycle during a single crash, minus deductible. Ninja 650 or Ninja 400 Deductible: Your deductible is $500. That means that in the event of a crash you are 100% liable for all damage up to $500. In other words, in a tip over that doesn't damage the bodywork and just bends a brake lever, you will only be charged for the lever. If an incident does a lot of damage to the bike, your max liability is $500. Ninja 500 or Motard Deductible: Your deductible is $100. This means that your max liability in the event of a crash is $100. To sign up for an event, CLICK HERE to be brought to the schedule page. You will have the option to sign up for the class and rent bikes, or you can select "Equipment rental only" if you have already registered.